Conference speaker, urbanist and co-founder of Urban Institute Riga Jonas Būchel explores the relationship between the European Capital of Culture project, communities and cities for the paper that he will be presenting at Cities as Community Spaces conference. Want to attend the conference? Click here! Registration closes on the 31st October. One of the main questions in contemporary urbanism is to what extent are attempts at community and cultural work really improving the democratic and participatory standards in planning our communities and cities? My keynote at the conference tackles this fundamental question through the conceptual development of the European Capital of Culture project, highlighting the concrete situation of Valletta within the context of the current struggle of the idea of Europe, and showcasing an experimental approach to strengthen the future of our communities and cities. Ten years of European Capitals of Culture – from Ruhr 2010 to Rijeka 2020, via Valletta 2018 – have seen a change from cultural interventions in urban and industrial landscapes in 2010 to a clear focus on intercultural approaches in 2020. How did these programme developments support the idea of strengthening urban and regional development strategies through community driven cultural work? Do they introduce new participatory concepts, making their societies more coherent and inclusive? Ultimately, does the current ECOC model encourage bottom up culturally focussed community work? The development from former to current and future ECOCs demonstrates the efforts of programme developers to create an atmosphere of participatory excellence and democratic development by experimenting with various methods of community work. Now, it is time for the general ECOC model to also develop ways to promote the cooperative activities in communities and cities across Europe. 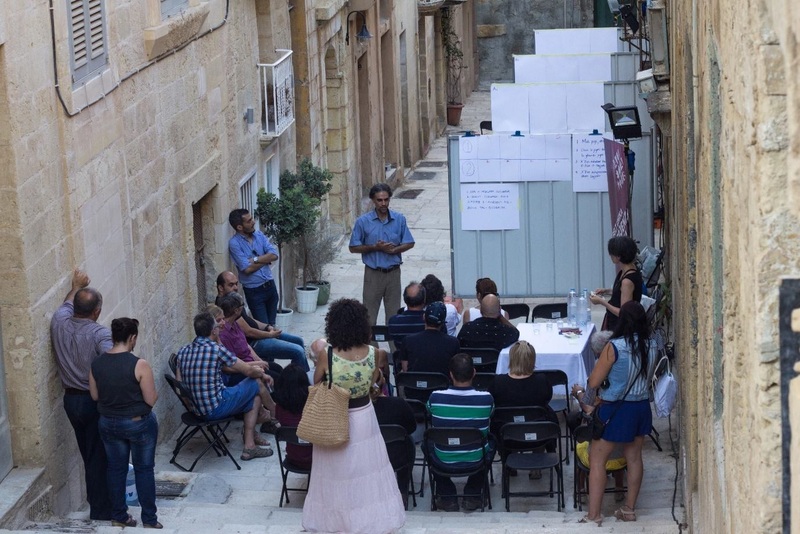 Valletta has been working on a number of urban development strategies. We seek to understand if these strategies truly target the core community whilst supporting the development of a pro-active society that lies at the heart of intercultural communication across Europe. Are the ECOC plans for 2018 in line with these are urban development strategies? Malta, better than anywhere else in Europe, demonstrates the struggle around the European identity crisis. Valletta 2018 represents the space to build bridges between continents, between societies, cultures and expectations, between our Europe of today and an openly accessible Europe of the future. All over Europe right-wing movements are growing, populism popularizes communities and we seem to have no clear concept of how to tackle disenchantment within politics or how to close the gaps in cultural and social segregation. One of the ways in which to address these challenges could be to strengthen our social and cultural spatial perception by triggering people‘s interest in their very own core environment. By making spatial education a cross sectional task of our educations systems, upcoming generations can see another reality, where solidarity and cooperation are basic ingredients of a community environment.